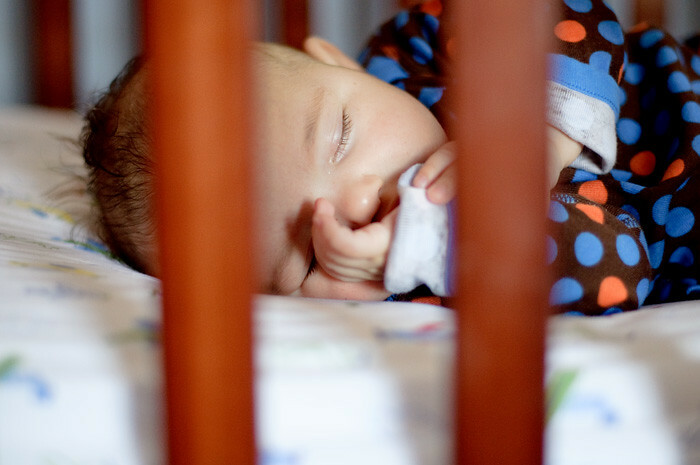 Life around here changes by the minute, crazy hectic one minute, calm and peaceful the next. One of those calm, peaceful moments yesterday - we had a pizza party. My hostess definitely had the mostess. The weather has been AMAZING the past few days. The kind of weather that reminds you why you live in Atlanta. 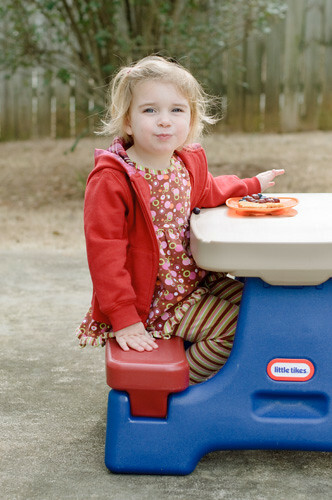 It has given Charlotte the chance to eat lunch outside at her new picnic table. 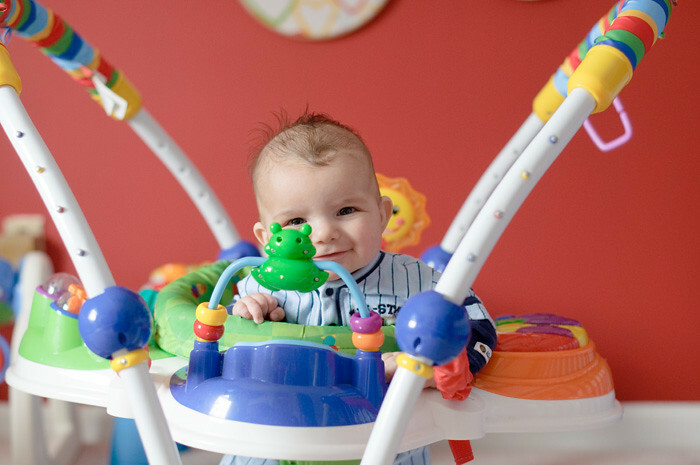 Speaking of Max, guess who tried his jumperoo for the first time today? 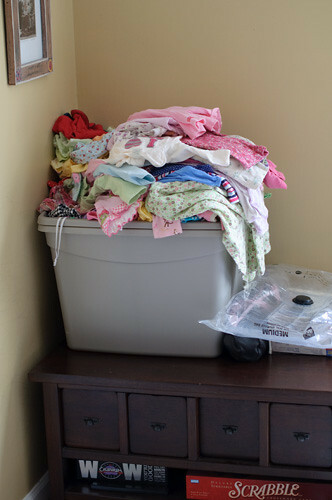 I can only consign 30 items that are 0-9months, I think I have well over 200 items? I think I have 30 items alone that still have the tags on them. So, if you know any little girls that need some 6-9 month summer stuff, please send them my way. It has been a little difficult going through all of them. Difficult, emotionally. 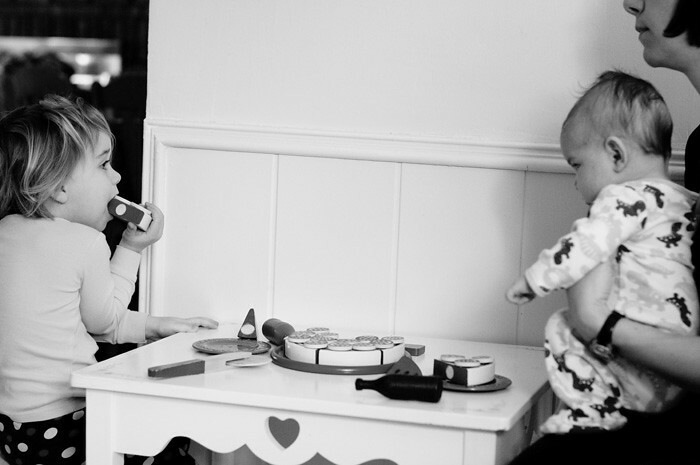 I can still picture Charlotte's little baby self in a lot of them - and the shoes, oh, how I love the shoes. It just really won't be the same dressing a boy. I called the one person that I knew would tell me to sell the stuff and not keep it - the Queen of Getting Rid of Sentimental Stuff - my mother. Only for her to tell me, "why don't you keep it, you might have another one?" Nope, won't have another one. But, I will keep one box of the things I just can't part with yet. You can call my mom...she keeps everything :-) Hence my clutter issue! 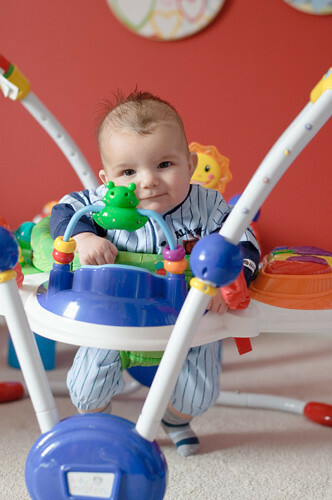 He looks so much like Judd in the jumperoo photos. Wow! Oh my, I can totally relate to you with all of the clothes. I know we aren't going to have another girl, but I still cannot separate with them yet. I have a feeeling I'll end up hanging on to a lot of them for a while. I'll end up selling some of it, but keeping some too. I have some classing clothing my mom saved that used to mine when I was little and I loved having those now. Oh, and I love your little thumb sucker. Harper is a thumb sucker and it is the greatest/easiest thing because she always has it with her.